Hands up who wants a smooth, cellulite- free body this summer??!! 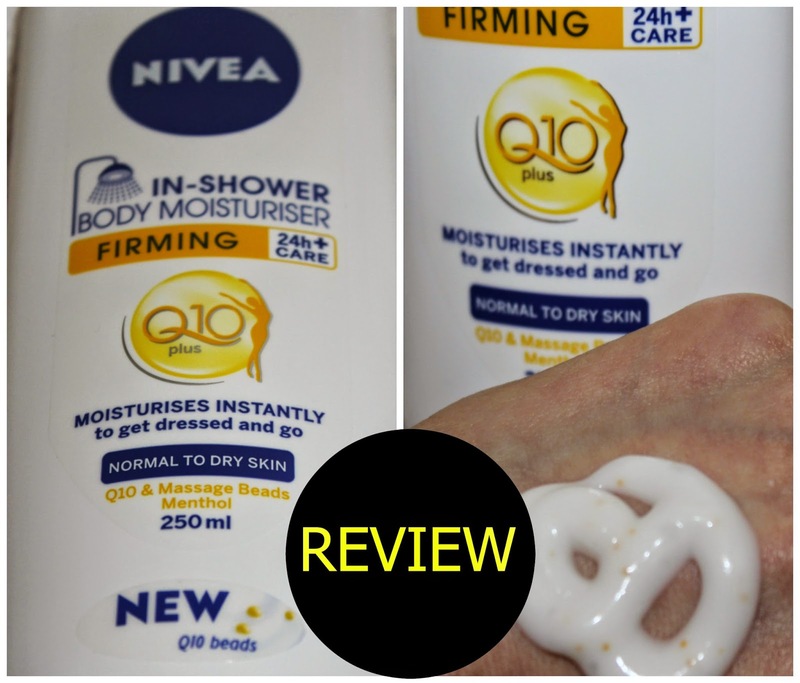 With research showing that just 30% women moisturise their skin daily, citing lack of time as of of the reasons, Nivea has spent the last five years to develop a solution - drum roll please - the In Shower Q10 Firming Body Moisturiser. Now let me tell you, I certainly don't belong to the 30% of the women who moistourise their body daily - and do you really want to know the reason why not? Because I am so L.A.Z.Y. Lazy with capital letters. What excited me most about this moisturiser is that I can just get out of the shower and not have to bother about faffing about with body lotion - there is nothing more I hate than to squeeze myself into clothes while my body is still sticky and greasy. I must admit, applying the In Shower Moisturiser was quite strange at first, it felt as if I was smothered in silicon ( not that I would know how silicon feels on the skin, mind you), but after few days, I got used to it - it has a similar texture as a hair conditioner. The moisturiser contains tiny Q10 massage beads that literally melt into the skin when applied under hot water, making skin feel tightened with a slight cooling sensations - thanks to the refreshing menthol that it contains. The scent is absolutely divine, I would describe it as the classic NIVEA scent, which I love! The In-Shower Moisturiser leaves my skin moisturised, soft and silky after and most importantly it doesn't feel greasy on my skin. I have a normal skin, so it provided enough moisture for me, but if your skin is really dry, this might not give be enough for you and you might need an extra moisturiser for your drier body parts. I can't really comment on the firming part as I have only used the product for two weeks and that is certainly not long enough to test its efficiency in that department. 4. Dry yourself, get dressed and go! Simples! The Nivea In-Shower Body Moisturiser is available from April 2015 from pharmacies and grocery stores nationwide and will be priced at € 7.38 250 ml. I certainly love this product - definitely my new must-have for the summer! 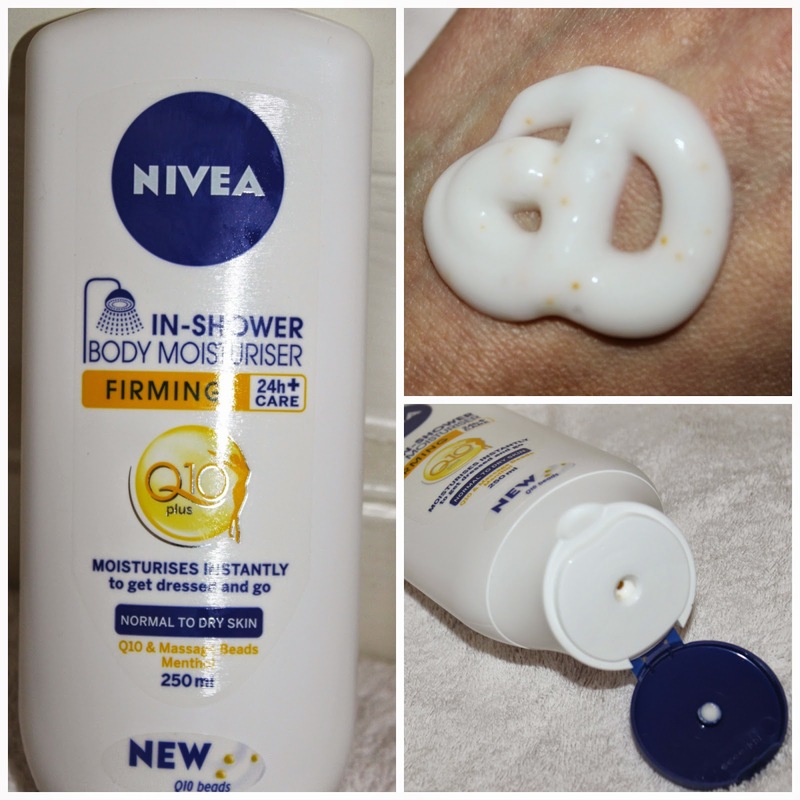 Have you tried the new Nivea Firming In-Shower Body Moisturiser yet?